Loving the water and all things photographic the Sprout Daily project was a fun one for us. 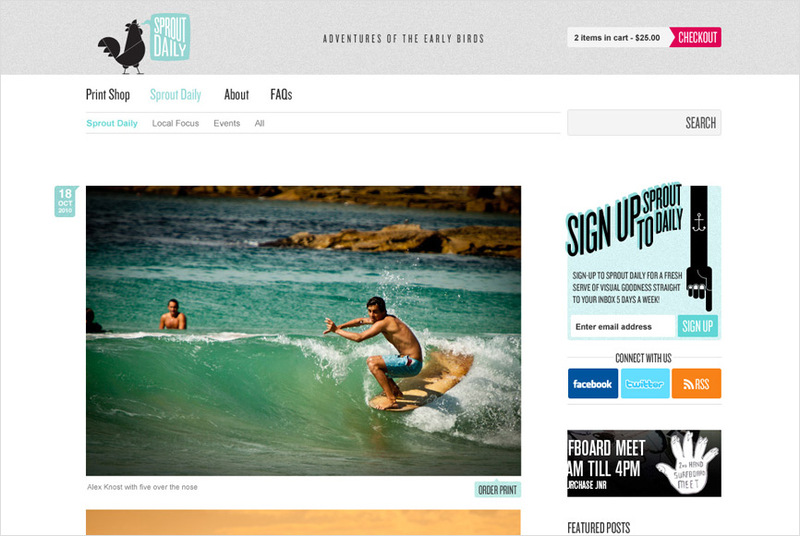 Based around surfing Sprout Daily is a photographic journal that captures the early bird life at Manly beach. It's a nice little escape from the grind while you skull your coffee each morning. The Sprout boys came to us looking for a fresh start and a whole new look and feel. We looked after all design and build and happily kitted them out with new branding, a fresh email template, a brand spanking new site and a shop to flog all their great shots. 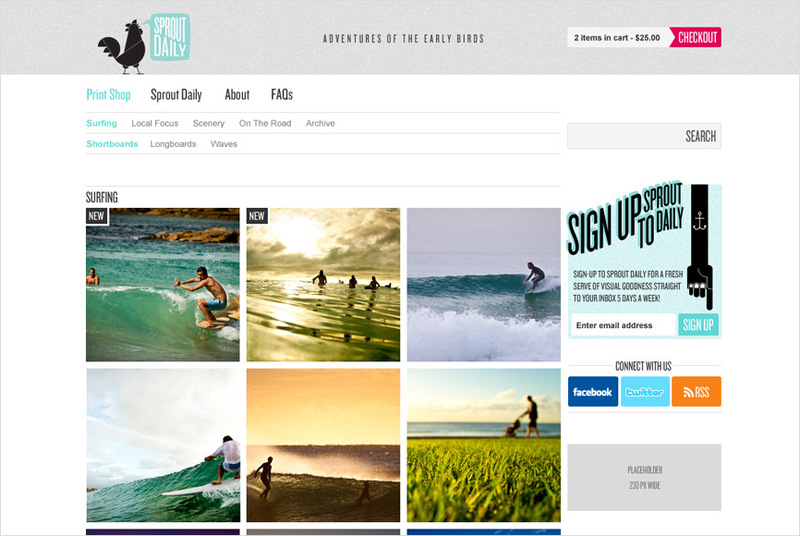 It's been a while in the making but we're all pretty stoked with the end product. It's free to sign up so if you're looking for a quick trip to the beach each morning, without getting your hair wet, get involved.